It has air vents, LED intelligent light system and panoramic sliding sunroof. 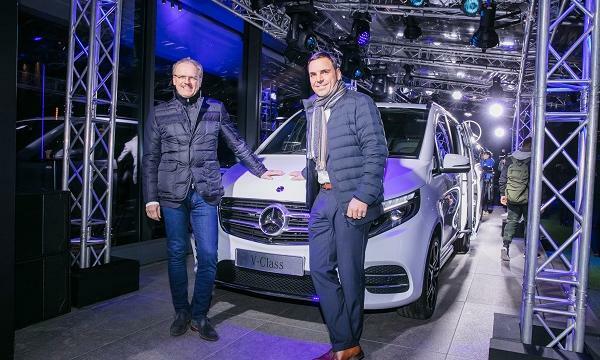 Mercedes-Benz recently unveiled new equipment features for its V-Class series including a silver chrome air vents, LED intelligent light system and a panoramic sliding sunroof in a continuous effort to raise the standard on style and functionality of the auto model series. According to a press release, the new equipment line also comes with a multifunction leather steering wheel, THERMOTRONIC automatic climate control, TEMPMATIC air conditioning and ambient lighting. This means that both driver and co-driver seats are electrically adjustable with heating and memory function. The V 260 model of popular model series is powered by a four-cylinder gasoline engine with 1991 cc of displacement that significantly boosts its output and torque at lower fuel consumption levels. The V-Class also comes with the PRE-SAFE, tyre pressuring monitoring, reversing on-board camera to facilitate parallel and end-on parking. Mercedez-Benz also unveiled a variant of the V-Class series, the V-Class Exclusive that marks the pinnacle of the popular model series.